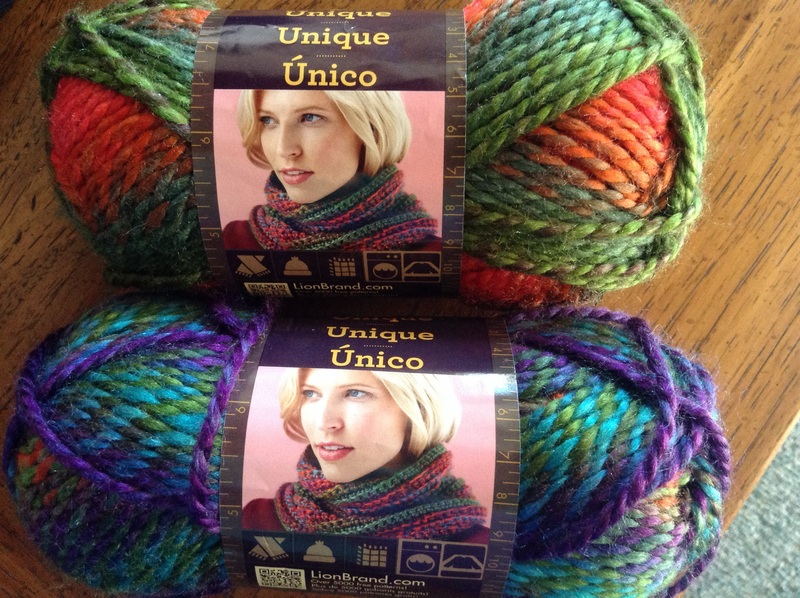 I had a feeling when my yarn order arrived the other day that the Stylecraft Harlequin Chunky looked very familiar. Just now I went downstairs to dig out some Lion Brand Unique and my suspicions were confirmed. I have a couple of skeins of the Unique which I had on display at the market last summer as part of Learn to Knit or Crochet Kits. The two skeins in the photo above are, believe it or not, the same colourway – Garden. It changes from green/orange to purple/turquoise in the same ball, and these two are just wound differently. 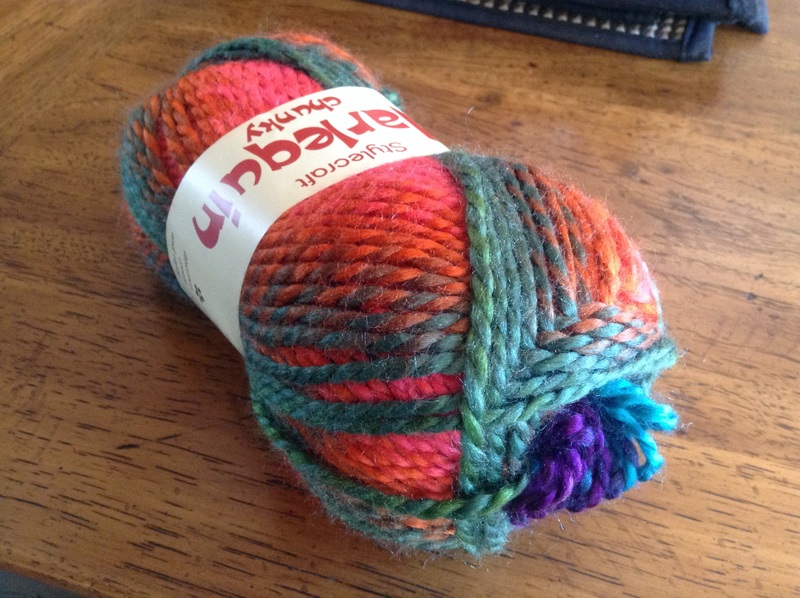 Looking at the Harlequin (Flame/Forest colourway) and digging out the colours in the centre, I think I am right in saying it’s exactly the same yarn, just packaged for two different companies. They are both 100 grams but the Harlequin claims to have 5 metres/yards extra length. It’s a beautiful day today. After a cloudy morning, the sun came out, the breeze strengthened, and now that the extreme heat of summer seems to have given way to fall coolness, especially at night, I am enjoying having all the windows open and getting my housework done. Tai Chi Man mowed the lawn and trimmed the edges today, and now that the house is sufficiently clean and tidy I really should be getting started on dinner. To me, this really feels like the last day of summer, because it’s Labour Day, a public holiday, and it’s back to school for many, including my middle son. Not sure what the youngest is doing for his grade 12 year yet.